Town Council meetings are generally held on the first Monday of every month (excluding Bank Holidays). 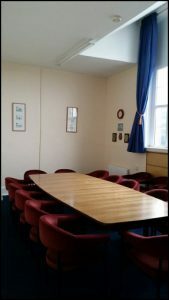 Meetings are normally held at 7.00pm in the Community Hall on Petteril Street. Additional meetings are held as necessary. The dates, venue and time are published on its notice boards on Criffel Street and on Skinburness Road, as well as on the website. At Ordinary meetings, the public are welcome to attend and listen to the proceedings. Constituents who have any issue to raise can contact the Town Clerk in writing prior to the meeting and ask to speak to the Council under the Public Participation section of the Agenda, where the meeting is briefly adjourned. They can also contact any Town Councillor, who will raise a matter under an appropriate item on the agenda. With the Council’s agreement, the Chairman may ask any person attending a meeting to address the Council. For certain confidential matters, the public and Press are asked to leave meetings. The Annual Town Meeting is held in May of each year in the Community Hall. At the Annual Town Meeting constituents may hear reports of the Council’s work during the previous year and may raise any issues. The Town Council is always willing to assist residents by providing information or where appropriate, by forwarding issues to appropriate authorities.